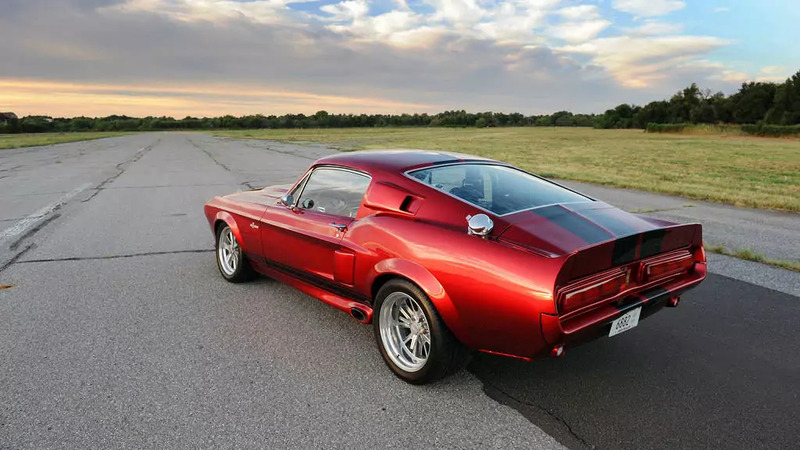 1967 Shelby GT500 Super Snake Is Back In Perfection For 250,000 Bucks! Only ten recreations are being built in their original condition. The engineer Don Mc Cain had an idea for building a much faster GT500 to test the tires for high-speed for Goodyear back in 1967. The GT500 Super Snake reached 170 mph. It was at the proving ground in San Angelo, Texas. How did they do that? – With a 427-cubic inch racing, the front disc brakes were heavy-duty, there was a locking differential, tracing bars and special Goodyear tires. Being a hit car was the reason that Shelly immediately offered it to the customers, but the problem was that it was very expensive. Now, only ten car lovers will have the opportunity for Shelby to build for them this GT500 Super Snake. This was announced by Shelby, they are building a ten-car “continuation” series, Last year, at the 50th anniversary Shelby launched the supercharged 670-horsepower edition. Just as same as that edition is the Super Snake. The first in the line of continuation series is an original ’67 Mustang which was rebuilt with new sheet metal. A new 550-horsepower 427 topped by a Holley four-barrel carb and valve covers with cast aluminum are installed. They backed it with a correct Top Loader 4-speed manual transmission which sends power to the accurate and exact locking differential. The authentic and initial style front disc brakes and rear drums which are heavy-duty and standard, but Shelby offers rear disc to be optional. A modern five – speed manual transmission or even an automatic can be chosen and selected. The original appearance is maintained with the 15-inch Mag Star wheels, regardless the chosen hidden upgrades. The wheels are covered in Goodyear GTII tires. All you need to get all of this with an original 1967 vehicle ID number and a Shelby serial number is 250,00 dollars The choice is ours!! !